Microsoft’s offer to upgrade to Windows 10 free ended over a year ago. But you can still upgrade your copy of Windows 7 or 8.1 to Windows 10 using the assistive technology workaround Missed the Free Windows 10 Upgrade? Psst, Here's a Backdoor! Missed the Free Windows 10 Upgrade? Psst, Here's a Backdoor! The upgrade to Windows 10 remains free for users who depend on assistive technologies. However, Microsoft doesn't check whether you really do. 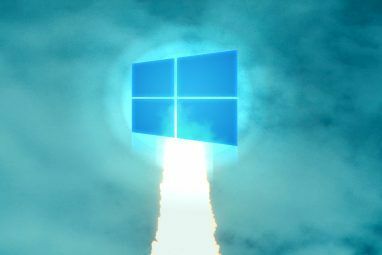 We show you how you can use this backdoor to get Windows 10. Read More or by entering your current license key You Can Still Upgrade to Windows 10 for Free! You Can Still Upgrade to Windows 10 for Free! It turns out you can still bag a free upgrade to Windows 10 -- and it doesn't involve the morally-questionable actions of other free upgrade methods. Read More . Whether you were a Windows 10 upgrade holdout Many People Refuse the Free Windows 10 Upgrade, Here's Why Many People Refuse the Free Windows 10 Upgrade, Here's Why People like free stuff. Yet many refuse to upgrade to Windows 10. We have asked them why. Read More or just want to upgrade your spare machine to Windows 10, we’ll show you everything you need in this guide. We’re going to walk through the process of upgrading Windows 7 or Windows 8.1 to Windows 10, then using the built-in rollback tool to downgrade. This allows you to try Windows 10 and have a guaranteed way out if you decide you don’t like it. A valid copy of Windows 7 or Windows 8.1. If you’re still running the unsupported Windows 8 Why to Upgrade Windows at the End of Extended Support Why to Upgrade Windows at the End of Extended Support Eventually, support for every Windows version expires, leaving PCs full of holes, entry points for malware, and opportunities for hackers. Windows 8 recently reached end of support status - we show you why and how... Read More , you need to update to Windows 8.1 Windows 8.1 Update Is Here! What It Is & How To Get It Now Windows 8.1 Update Is Here! What It Is & How To Get It Now Curious about the latest Windows 8.1 Update or not sure what this is about? KB2919355 is a cumulative update that comes with useful features. It can also be removed in case it causes issues. Read More before proceeding. If your copy of Windows isn’t activated, you can’t initiate the update to Windows 10. Your Windows 7 or 8 license key. To activate Windows 10, you need your license key Everything You Should Know About Windows Product Keys Everything You Should Know About Windows Product Keys 25 characters govern your Windows system. Your product key is worth $100 or more, whether or not you upgraded to Windows 10. 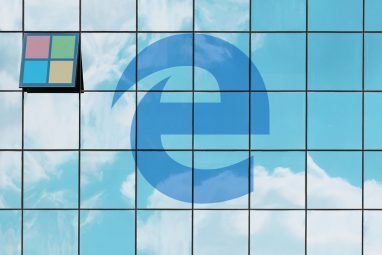 We explain what you can and can't do with your Windows license. Read More from the prior version of Windows. You’ll usually find this on a sticker attached to your PC, or you can use software to find it 3 Portable Applications to Help You Find Serial Keys on Your Windows PC 3 Portable Applications to Help You Find Serial Keys on Your Windows PC If you've ever paid a chunk of change for a shareware application or subscription, you know the drill. Serial keys in the form of plain-text strings or files are pretty much the universal standard. The... Read More . 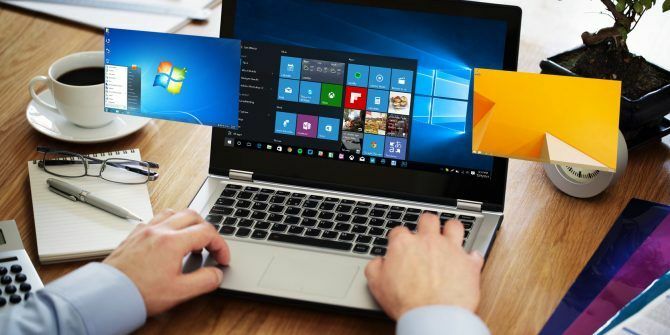 Note which version of Windows Every Single Windows 10 Version You Must Know About Every Single Windows 10 Version You Must Know About Windows 10 comes in over 10 different versions. We compare them all and explain what they're for and who their intended users are. Read More you’re running (such as Home or Professional) so you know which version of Windows 10 you’ll receive. Confirm your PC meets the system requirements for Windows 10. You can review Microsoft’s system requirements for Windows 10 if you’re not sure. A fair amount of disk space is required for the upgrade, so especially old machines might not be able to make the upgrade Is Your Computer Compatible with Windows 10 & Can You Upgrade? Is Your Computer Compatible with Windows 10 & Can You Upgrade? Windows 10 is coming, possibly as soon as July. Are you eager to upgrade and will your system be eligible? In short, if your computer runs Windows 8, it should also run Windows 10. But... Read More . Back up your computer. Depending on the method you use to perform the upgrade, you can keep your personal files intact. But unfortunately, the update could run into problems and result in loss of your data. Make sure you’ve backed up everything The Best Backup Software for Windows The Best Backup Software for Windows Your data is fragile – it only takes one small accident to lose everything. The more backups you make, the better. Here we present the best free backup software for Windows. Read More before you start the upgrade. This guide will use Windows 7 as the original operating system (OS), but the process is the same with Windows 8.1. First, you’ll have to decide whether you want to upgrade using the Assistive Tech workaround or by creating Windows 10 media How to Create Windows 10 Installation Media How to Create Windows 10 Installation Media Regardless of how you arrived at Windows 10, there's a way to create your own installation media. Sooner or later you might need it. Let us show you how to be prepared. Read More . You can use the Assistive method You Can Still Upgrade to Windows 10 for Free (With a Loophole) You Can Still Upgrade to Windows 10 for Free (With a Loophole) If you missed the deadline for the free Windows 10 upgrade, you're in luck because there's still another method you can use -- as long as your conscience allows you to do so. Read More even if you don’t have a disability, but it may present a moral dilemma for some. Thus, we’ll use the official procedure for this guide. Head to the Windows 10 media creation tool page on the PC you want to upgrade and click Download tool now. A file named MediaCreationTool.exe will start downloading. Open it when it’s complete and click Yes when prompted for administrator privileges. Accept the terms once the tool loads up. The next prompt asks what you’d like to do. Select Upgrade this PC now and click Next. You’ll see the media creation tool start downloading Windows 10. Sit tight while it does so. After several steps of downloading and verifying everything, you can continue. The tool will ask you to enter your product key at this point if you haven’t activated Windows yet. Next, you’ll need to accept more terms and conditions. Then the installer will check for Windows updates and make sure you have enough space to upgrade How Much Space Do You Need to Run Windows 10? How Much Space Do You Need to Run Windows 10? Windows 10 is a compact operating system by design. We show you how you can strip it back even further to make it take up the least amount of disk space possible. Read More . When it’s all ready, you’ll see a Ready to Install screen. It shows a brief summary of your install options, including which edition of Windows 10 you’ll install and whether you’re keeping your personal files. The edition of Windows 10 you get will depend on your installed edition of Windows. If you’re on Windows 7 Home Premium, for instance, you’ll upgrade to Windows 10 Home. A Windows 8.1 Pro user will upgrade to Windows 10 Pro. Don’t despair if you’re on Home — you really don’t need what Pro offers Is a Windows 10 Pro Upgrade Worth $99? Is a Windows 10 Pro Upgrade Worth $99? Windows 10 Pro offers more features, but also carries a $99 price tag to upgrade from the Home edition. Here's what you need to know to decide if professional features are worth the upgrade. Read More . Keep personal files and apps: Don’t change any settings. Preserve all programs installed just as they are now, and your files stay intact. Keep personal files only: All installed programs and settings are wiped out, but your files stick around. Nothing: Delete everything and start with Windows 10 from scratch. What you choose here is up to you. Most users should pick the first option to avoid losing any data — you can always uninstall programs and delete data later. We’ll select this option for this tutorial. If your current Windows system is problematic The One Reason to Reset or Refresh Windows 10: Clutter The One Reason to Reset or Refresh Windows 10: Clutter When Windows 10 feels sluggish, you can blame various forms of clutter. You can get Windows up to speed by using Reset or Refresh it. We explain the difference and how to use it. Read More , try Nothing for a fresh start. Once you’ve confirmed your choice, click Install to start installing Windows 10. Your computer will restart several times and it will take a bit, so wait until you have some time before you begin. Once the install process completes, you’ll need to run through Window 10’s first-time setup. If you chose to keep your personal data during the upgrade, click Next on the first screen to use your account. To sign in to another one, click I’m not [Account]. Setup next presents you with several privacy settings you can enable or disable. Consult our complete guide to these settings How to Configure Windows 10 Privacy Settings During Setup How to Configure Windows 10 Privacy Settings During Setup If you're installing Windows 10 for the first time, you may be unhappy with the assumptions Microsoft makes when selecting their Express Settings presets during installation. What liberties are Microsoft are taking with your privacy? Read More for more details. Click Accept when you’ve set them to your liking. Then, choose if you want to use Cortana or not. She does offer lots of neat features How to Make Cortana Organize Your Life How to Make Cortana Organize Your Life Your life is so complex, you deserve a personal assistant. Meet Cortana, your virtual assistant ready to serve at the tip of your tongue. We'll show you how to effectively delegate tasks to Cortana. Read More if you don’t mind the use of your information. Next, choose your default apps. The defaults include Edge as your browser and Groove Music as your music player. Click Let me choose my default apps to customize this. You can always change these later How to Change Default Apps and Settings in Windows 10 How to Change Default Apps and Settings in Windows 10 Here's how to change default programs in Windows 10 if you're not happy with how the OS behaves out of the box. Read More , too. After you click Next one more time, you can sign in. Your account is the same as it was on your old version of Windows. After you sign in, Windows will likely have some more updates to apply. Wait for these, and you’ll see your desktop when it’s all complete. Now you’ve updated to Windows 10! You should take some time to play around with it and see what you think. We’ve written plenty of articles to help you find your way around, including the newest features you should know about 7 New Windows 10 Features You May Have Missed 7 New Windows 10 Features You May Have Missed Every major Windows Update now comes with countless new options and features. Here we cover awesome new features that didn't make the headlines. Read More , default settings you should check immediately 7 Default Windows 10 Settings You Should Check Immediately 7 Default Windows 10 Settings You Should Check Immediately Microsoft made some questionable decisions with Windows 10. Some of its default settings should not be left alone. We show you how to improve privacy, conserve bandwidth, reduce distraction, and lots more. Read More , how to manage your privacy Don't Let Windows 10 Spy on You: Manage Your Privacy! Don't Let Windows 10 Spy on You: Manage Your Privacy! Windows 10 is watching you. Microsoft's latest operating system is undoubtedly harvesting more of your personal information than ever before. We'll show you how to get a better grip on your privacy. Read More , and the best Store apps The Best Free Windows Store Apps Worth Your Time The Best Free Windows Store Apps Worth Your Time The Windows Store can be intimidating. We went in to find the apps you should try. These lesser-known gems convinced us with great service and functionality. Read More . Note that you only have 10 days to decide whether you want to stay on Windows 10 or not. After this period, you’ll have to manually roll back your Windows installation 3 Ways to Downgrade Windows 10 & Rollback to Windows 7 or 8.1 Indefinitely 3 Ways to Downgrade Windows 10 & Rollback to Windows 7 or 8.1 Indefinitely You've either upgraded to Windows 10 to secure a free copy or were upgraded forcefully. We share three tricks that will help you downgrade now or later and save you if your upgrade failed. Read More instead of using the convenient built-in tool. Do not remove the Windows.old folder using the Disk Cleanup or other tools, or you won’t be able to easily jump back to your old installation. Make sure that Windows activated properly if you decide to stick with it. Head to Settings > Update & Security > Activation and make sure you see that Windows is activated here. If it’s not, scroll down and click Change product key and enter your license key. If you can’t activate with your key, you may need to look at buying a cheap and legal license Need a Legal & Cheap Windows License? Here Are Your Options Need a Legal & Cheap Windows License? Here Are Your Options Windows is expensive. Here's how to buy a Windows 7, 8 or 10 product key cheaply or get a license for free legally. Read More . After a few days, let’s say you decide to jump back to Windows 7 or 8.1. Next, we’ll cover how to roll back to your previous version. Decided Windows 10 isn’t for you? You can return to your old version with little trouble. Before you jump back, we recommend creating another backup The Ultimate Windows 10 Data Backup Guide The Ultimate Windows 10 Data Backup Guide We've summarized every backup, restore, recovery, and repair option we could find on Windows 10. Use our simple tips and never despair over lost data again! Read More just in case the process goes south. If you’re returning to Windows 7, we remind you that extended support for Windows 7 ends This Happens When Windows 10 Support Ends This Happens When Windows 10 Support Ends The original version of Windows 10 is not supported by Microsoft anymore. Here's everything you need to know about the Windows lifecycle, including how you can upgrade and stay secure. Read More in January of 2020. You’ll need to jump to Windows 10 again before then to avoid getting stuck on an unsupported OS. Whether this is worth the hassle is up to you. Start the rollback process by visiting Settings > Update & Security > Recovery. You’ll see an option named Go back to Windows 7/8.1. Click the Get started button here. Windows will ask why you’re returning to an older version. You have to check an option to proceed, take a second to give an honest reply. Click Next and Windows will ask if you want to check for the latest updates to “fix the problems you’re having.” Since it’s not problems, but preference, why you’re returning, click No, thanks to move on. Windows will then warn you that you might need to reinstall some programs and will lose any settings changes you made after jumping to Windows 10. You might want to take a moment to generate a list of installed programs How to Auto-Generate a List of Installed Programs on Windows How to Auto-Generate a List of Installed Programs on Windows Resetting your computer can be a tedious task. Here's how to quickly generate a list of software you have installed so you don't forget. Read More so you don’t forget what you had installed. If you didn’t make many changes in Windows 10, this shouldn’t affect you much. Your final warning alerts you that you need to know your Windows 7/8.1 password to sign in. If you tried out a PIN or face unlock How to Log Into Windows 10 With Finger Scans & Facial Recognition How to Log Into Windows 10 With Finger Scans & Facial Recognition Instead of using a password or PIN, you might be better off using fingerprint scans or facial recognition! But there are a few risks associated with them. Here's what you need to know. Read More in Windows 10, it won’t work to get into your old Windows account. To seal the deal, click Go back to Windows 7 and bid adieu to Windows 10. Like the upgrade to Windows 10, this will take some time and your PC will restart several times. Be patient as the downgrade processes. After it’s done, you’ll be back to your old version of Windows, (mostly) as you left it. Have You Upgraded or Downgraded Yet? Now you know how to complete a Windows 10 upgrade and downgrade back to your old OS if you don’t like Windows 10. It’s not tough — it just takes a valid Windows installation and some time. Windows 7 and 8.1 will still receive support for years, so you don’t have to jump ship just yet if you’re not ready to. If looks are the only beef you have with Windows 10, you can make Windows 10 look like 7, 8.1, or even Windows XP How to Make Windows 10 Look Like Windows XP, 7, or 8.1 How to Make Windows 10 Look Like Windows XP, 7, or 8.1 The tough part about upgrading Windows is that everything changes. 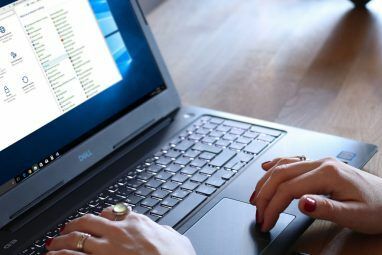 Here's how to turn Windows 10 into a Windows XP, 7, or 8.1 look-alike to make the move easier -- for yourself or a friend. Read More ! Which version of Windows are you using, and why? Will you upgrade to Windows 10 anytime soon, and have you downgraded already? Tell us what you’re using in the comments below! This upgrade from Windows 7 to Windows 10 did not work for me. When I was asked for my 25 digit key it asked purely for a Windows 10 key and sure enough it would not accept my Windows 7 key.